Photo taken by Ron Bulov. This is going to be the best year of CFL football so far. Ottawa Redblacks enters the Canadian Football League with an expansion draft 2013 December, 16th. The expansion draft allows Ottawa to pick players from the other 8 football clubs in the CFL. This will surely hurt teams this year even if coaches, general managers, and owners say otherwise. Not many people place bets on the CFL but I believe this is a reason to bet on CFL this season. 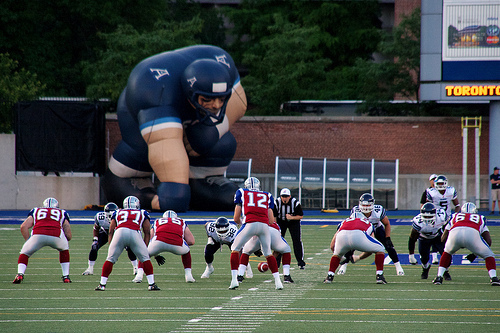 We are going to see some serious action between teams fighting hard to make it to the 2014 Grey Cup. Just check out the odds on who will win the championship in 2014. CFL 2014 futures betting odds are provided Bodog/Bovada. Canada/UK/Rest of the World – Join Bodog To Place Your Bet.